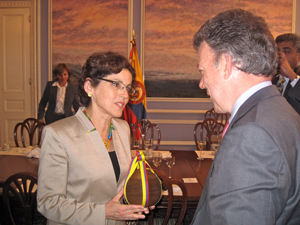 President Córdova and Colombia President Juan Manuel Santos exchange gifts inside the presidential palace, Casa de Nariño. Purdue is forging ties with universities and government agencies in Colombia to expand research opportunities and broaden the university’s global impact. 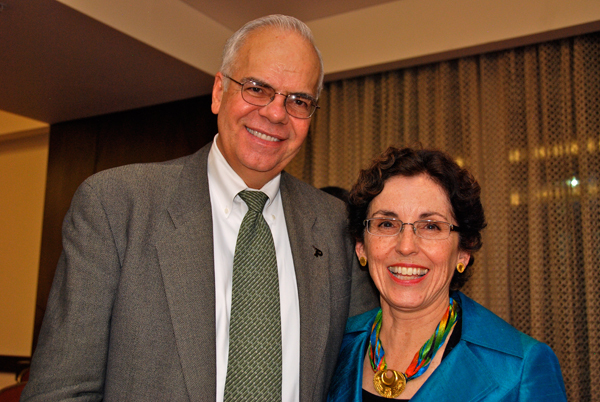 Purdue President France A. Córdova made an official visit to Colombia in March. The president was accompanied by Kirk Cerny, president of the Purdue Alumni Association; Leah Jamieson, dean of the College of Engineering; Arden Bement, director of the Global Policy Research Institute; Gerry McCartney, vice president for Information Technology; Arvind Raman, professor of mechanical engineering; and Jean Paul Allain, associate professor of nuclear engineering. During the weeklong visit, the group visited numerous educational institutions, including the University of Cartagena, the University of Antioquia, the University of Rosario and EAFIT University. They toured the cities of Medellín, Bogotá, Cartagena and the site of a future Nanotechnology Center known as Manantiales. Dr. Cordova signed memorandums of understanding (MOUs) with the University of Antioquia, EAFIT University and the University of Rosario. The president also met with numerous administrators and government officials, including Minister of Education, María Fernanda Campo; Deputy Minister of Higher Education, Dr. Javier Botero Alvarez; and the President of Colombia, Juan Manuel Santos. 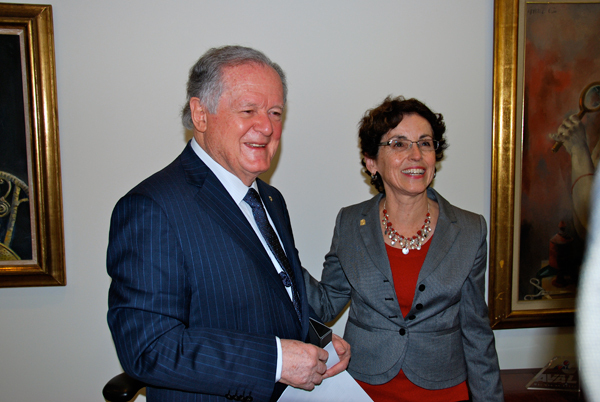 She also met with former president, Alvaro Uribe. 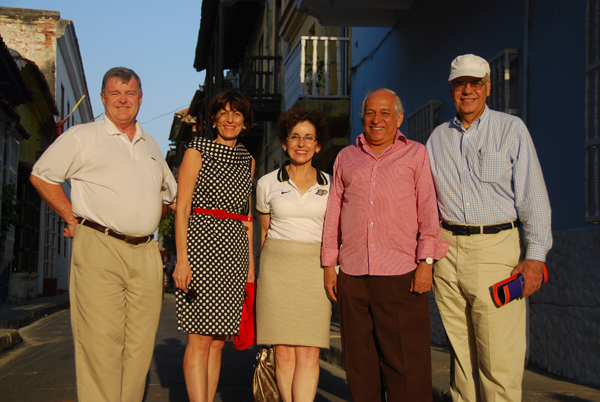 She was presented with the keys to the city of Cartagena. Use the links to the left to view news articles, speeches and photos from this historic trip. 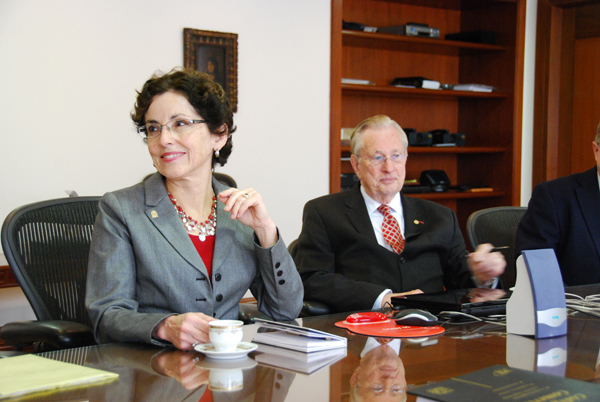 President France A. Córdova (center) on Friday (Nov. 4) meets with Jaime Restrep Cuartes (second from right), the director of Colciencias, the Colombian government's Administrative Department of Science, Technology and Innovation, which supports Colombia's fundamental and applied research. 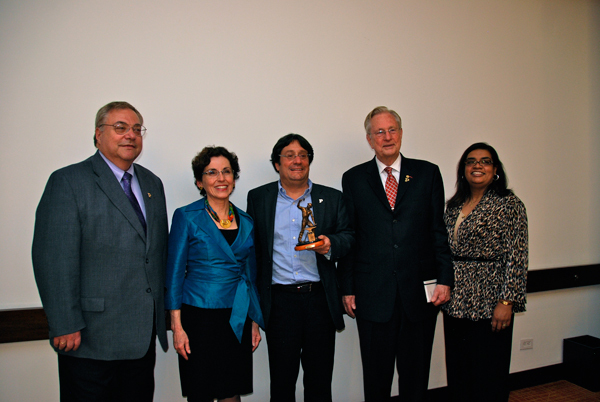 Córdova thanked Restrep Cuartes for his efforts in helping develop a relationship between Purdue and in fostering a biodiversity research engagement between Colombia and Purdue. 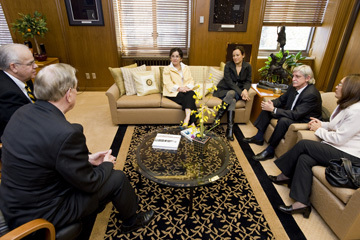 Also pictured are (from left) Juan Ernesto DeBedout, Group President, Latin American Operations Kimberly-Clark Corporation, and member of Purdue's Engineering Advisory Council; Arden Bement, director of Purdue's Global Policy Research Institute; Marcela Ramirez, Colciencias; and Cecilia Tenorio, continuing lecturer in the Department of Foreign Languages and Literature. 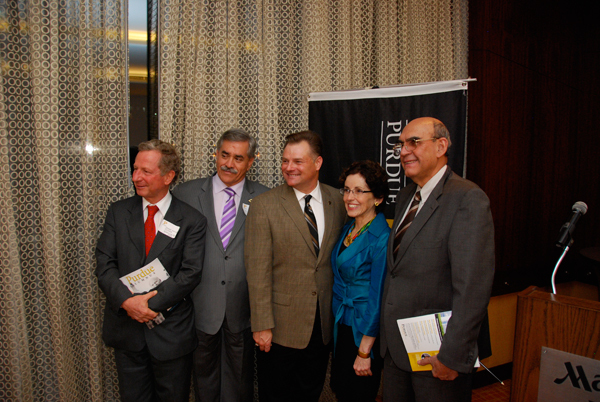 More information on Purdue's growing initiative with Colombia is available at The Columbia-Purdue Institute for Advanced Scientific Reseach.